With just the right amount of caffeine and the perfect fizz, it’s my new go-to morning drink. I have never been, and will never be, a soda person. The bubbles hurt my stomach, the artificial sweeteners give me a headache, and because I never had soda as a kid, I never developed a taste for it. Because of this, I never hopped on the train to seltzer town with stops in Polar-town, Canada Dry-ville and of course The United States of La Croix. A couple of months ago a friend handed me a can of Spindrift seltzer. A bubbly water fanatic herself, she knew of my normal aversion to carbonated beverages and promised me I'd like it. It didn’t have a hint of ‘natural flavor’ the way some others do—just good old fruit juice. So I took the can of Lemon Sparkling Water and tried it for the sake of journalism. I was surprised that the bubbles were soft and mild, not bracingly big and dry the way so many of the OG seltzer brands are. It tasted like a mild lemonade—exactly what I wanted to be sipping then. All of a sudden my heart went pitter patter. Arnold Palmers—half tea, half lemonade—are my favorite drink ever. During the summer, there is nothing more refreshing than this sweet/tangy mix in a frosty cup. 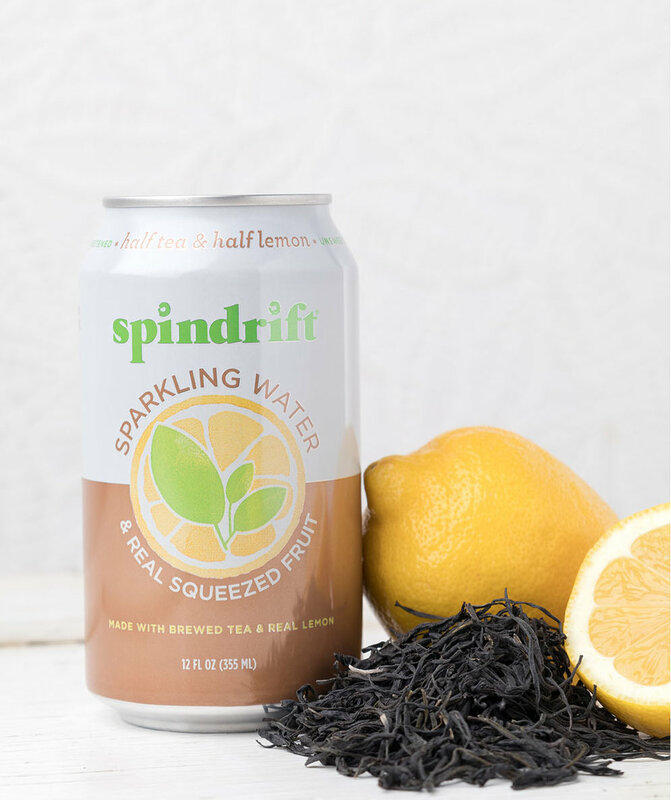 So I found Spindrift in this flavor, I immediately stopped what I was doing, pulled out a can, cracked it open, and looked inside—the drink was a light brown iced tea color. The seltzer was perfectly bubbly without inducing burps, lightly lemon-y, and perfectly tea-tasting. Plus, it's a perfect substitute for my morning iced coffee. Even though it doesn’t contain much caffeine (less than the caffeine found in 2 ounces of coffee, in fact), this seltzer gives me just enough of a boost to start my day, continue my day, and push through the end of my day. Instead of constantly sipping an iced coffee full of milk and sugar, I can happily say I have found a healthier and more delicious alternative. Now that I have discovered my seltzer nirvana, I make sure I am never far from it. I bought a case to keep in my fridge, there is always one at my desk at work, and I even turned my coworkers and family onto the new flavor. If you haven’t experienced what I have dubbed the magic of Spindrift, I highly recommend that you do. If a true Arnold Palmer is what you're craving, try our classic lemonade recipe to whip up your very own with some homemade iced tea!.